Don’t look now, but Tesla’s SolarCity may have just changed the game for residential solar. Their new roofing tiles, announced this October, mark the beginning of consumer integrated photovoltaics—in other words, the integration of solar power-generating surfaces into everyday building materials. Experts and futurists have long been predicting that we’d start seeing a surfeit of solar-enabled surfaces—roads, windows, roofs, and other exterior planes that generate energy all on their own. SolarCity’s move is one of the first in this direction, which stands to change not just how we think about solar, but also the aesthetic appearance of renewable energy systems, too. Of course, any news about Tesla is sure to generate buzz—and accordingly, you’ve probably at least heard of this product by now. But if you’re serious about solar, you might find yourself angling for some hard-hitting facts about the new tiles. Here’s what we know so far. Do They Work As Well As Panels? What’s Next for Solar Roofs? Your standard shingle lives a pretty boring life. Asphalt roofing, ceramic, and slate passively absorbs the sun’s light and heat, of which there is plenty. The idea of solar tiles is to transform these staid surfaces into energy-generation centers. Each solar tile is made out of textured glass, behind which is a colored louver film, which gives the tile its natural-looking appearance. And behind this is a solar cell, cleverly disguised to look just like a shingle. The tiles are connected to each other to form one uniform system, and then connected to an inverter just like any other solar panel. While we at Modernize are fans of solar energy systems in all their diverse forms, some people are just not crazy about the way solar panels look. 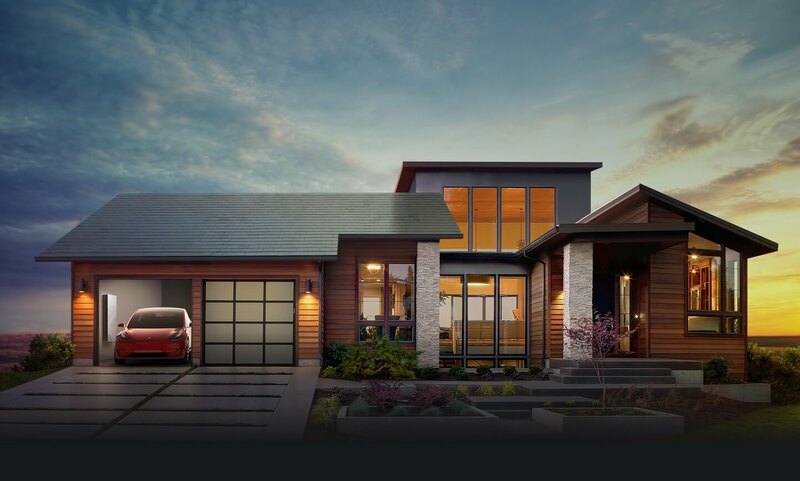 Tesla and SolarCity wanted to redesign the look and feel of solar energy, to encourage more homeowners to convert. Their solar tiles currently come in four different styles that mimic the appearance of luxury roofing products. 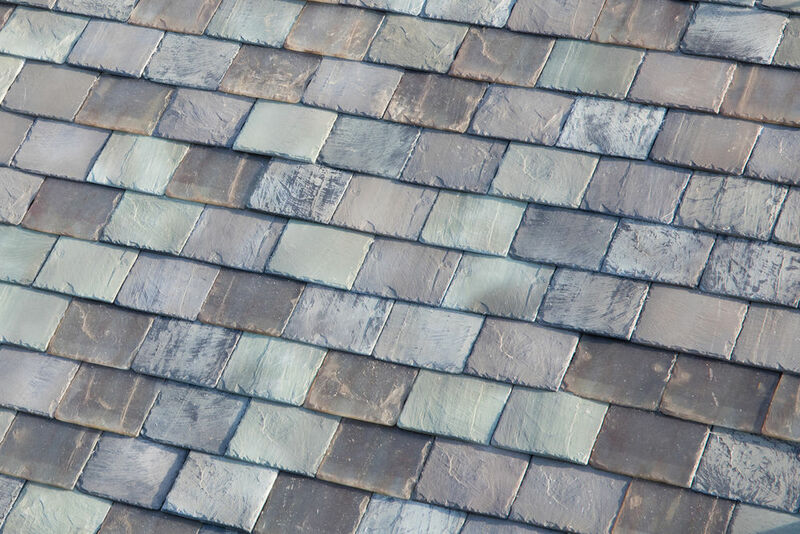 You can get solar shingles that look like Spanish ceramic, slate tiles, textured wood boards, or a smooth glass tile. They do look remarkably similar to the real thing. The short answer is no. The longer answer is “not yet.” Currently, solar tiles are two percent less efficient than SolarCity’s other panels. However, Tesla says that’s not what they expect for long term—they’re currently working on developing new releases that will shore up those inefficiencies. In fact, Elon Musk—Tesla’s CEO—says that he hopes that one day the colored louvers behind the glass will actually boost energy production. The verdict’s still out as far as consumer reviews, but SolarCity at least claims that the tiles are very, very strong. Musk has said that the tiles have a “quasi-indefinite lifetime.” Tesla has visually demonstrated how they outperform asphalt tiles when it comes to resisting weight. That may not be all that scientific, but if initial demonstrations are correct, the tiles appear to be exceptionally strong. The issue of price for the solar roof is murky at best. Initially, when rumors started to go around that Tesla was designing a solar roof, the cost was quoted at a staggering $70,000 per roof, or around $24.50 per square foot. Tesla says incentives should help to even out the cost of the roof—but it hasn’t quoted any prices yet. Their eventual goal is to get residential solar to a price that’s competitive with fossil-fuel energy—or around $0.40 per wall. The price for solar roofs will likely vary depending on the size of your home and how much energy you want to offset, though. One of the most successful branches of SolarCity’s business has been through its leasing program, where panels are installed on roofs free of cost, and leased to residents in exchange for a payment or their government incentives. So it only follows that leasing might be available for solar roofs too. At the moment, there’s no clear answer on that front, however. Although SolarCity has promised to have more information available in 2017. Unless you happen to be one of the Desperate Housewives, you’re going to have to wait a little bit longer for your solar tiles. Although Tesla and SolarCity have announced their new product, it’s not yet available for sale. However, you can fill out a form on Tesla’s website to receive updates. Beyond better efficiency rates, if things go well for this initial release, Tesla has teased the idea of manufacturing heated panels that could melt ice or snow on the roof. That’s important, since snowy surfaces can cause solar production to drop. Furthermore, it looks like we may be getting a wider variety of colors and textures. Solar power has truly never looked so good!